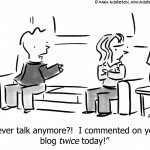 Blogging and social media: The Unofficial Guide of Do’s and Don’ts. My confession; twenty months ago I didn’t know what a blogger was. Glad to say that has changed and today I do consider myself a part-time sporadic blogger. Do I love blogging? The simple answer is yes. Why do I love blogging? In one word; connecting. Connecting with others that relate to the words I have written in a post and vice versa. I too connect with the words written by another blogger. Sometimes an avid discussion may occur in the comments, different points of view offer insights into a topic I may have just been discussing solely from what I know. In hearing a variety of opinions; it helps my work, my studies and opens my mind to what readers are thinking and feeling on particular subjects. It gives me a bigger picture. It shows me what it may be like in someone else’s shoes. Amazingly I receive a fair amount of emails asking me questions about blogging. Hence this post. As far as I am aware there are still NO blogging rules. There are thousands of social media posts that state they have the blogging rules yet many seem to miss the main point of blogging which I personally believe and that’s connecting with your readers on a level that is genuine and honest. So what I’m saying next is no Holy Grail but points I have found useful and it may answer some of my readers questions. I am not recommending any particular solutions, apps, plugins because that is way out of my comfort zone and knowledge. I am not avery organised person and much like my life I blog a bit all over the place and fleet from one subject to the next, you can take what you like from this post or take nothing at all. 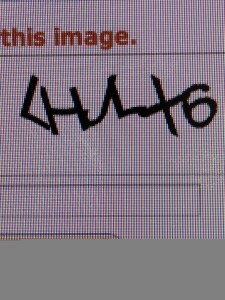 Don’t have Captcha on your blog. Do find another method of preventing spam or moderating comments. 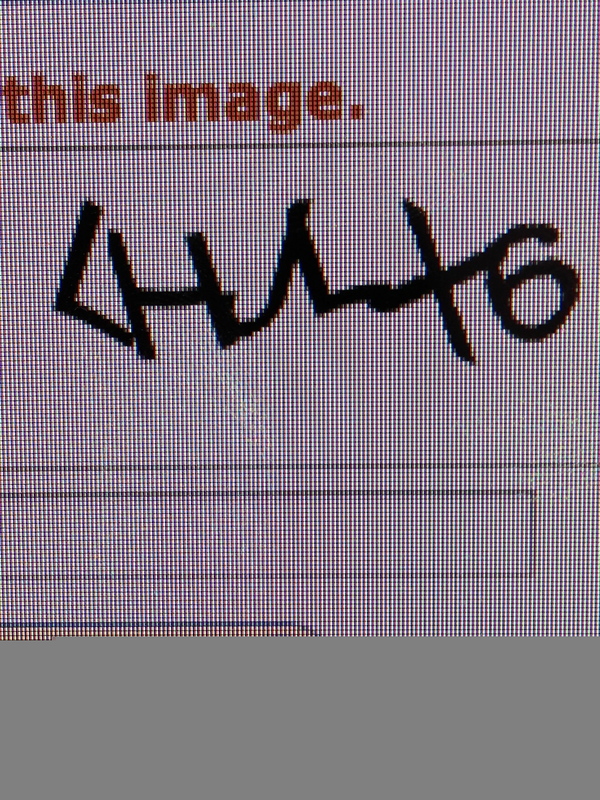 Captcha stops many readers from commenting, some are impossible to read especially on a phone. Do respond to comments if you have time. It is appreciating your reader and a connection. Everyone is looking for some kind of connection. Do jump in and write about the major controversial topics – the headlines but don’t jump in all the time. It can drain and consume you. Do acknowledge another blogger if their blog post prompted your current blog post and let that blogger know via twitter or email, this is manners. Don’t copy and take other bloggers photos or quotes and pass them of as your own with no credit back to the source. Don’t keep looking for the optimum time to post there isn’t one. Do hit publish at any time social media is 24/7. Do join link parties for more readers. Don’t join link parties and not comment on the other linked up posts. 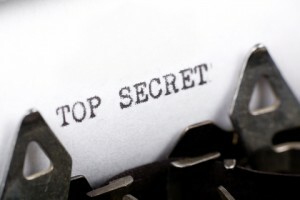 Do have a plugin that helps readers share your post, some may not comment and a share is great. Don’t harass a reader to share. Do look at where your comments are from is it mainly other bloggers or people that don’t blog. Don’t keep looking at numbers, it really is about quality over quantity. Do keep writing and connecting. Don’t have automated Direct Message as a personal blogger because there is nothing personal about it. I understand social media and businesses using it as they are selling a service. Don’t be an egg head. Do have a photo, logo, any thing but an egg head. Don’t just have your blog link there. Do have a brief bio. I want to know a little bit about who you are before we connect. Don’t get offended if you don’t always get response when you tweet someone. Twitter is similar to a very busy party, sometimes you stay, sometimes you observe, sometimes you just drop in and leave. Therefore some tweets get missed, some may be ignored, it should not be a big deal. If you feel personally upset that someone does not respond to your tweets, unfollow or keep trying but don’t take it personally. Don’t have your Facebook and Twitter linked. It creates double tweets. The link does not always work “error finding page”. You cannot LIKE on Twitter, so when you have an update on Facebook that stay click LIKE or LINK in the comments, neither of these actions can be actioned on Twitter. Don’t have full on accusation/slanging matches on Twitter. Do follow on if you feel the need in private, there is email. Don’t keep asking for RT’s. If your post connects with someone they know they can RT. Do ask for RT’s for charities, abused kids, lost kids etc..
Do keep sourcing for readers, they are not all on Twitter. There are many bloggers on Twitter, personally I struggle to write my own posts and reading other blogs. Do RT when you like a post or an update. Personally I don’t tweet a blogger to say I commented on their post, they can see that on their own blog post. Don’t snap shot another pages quotes. Do use the SHARE button which gives credit where credit is due. Don’t take someone else’s quote and make up your own picture using their quote. Do read a question thoroughly. Do give advice, don’t give judgement. Don’t keep posting on someone else wall all about your business or blog. Do message them and ask if they can share for you. Don’t believe that if you block/unfriend someone they cannot see your updates, they can if they try hard enough. Do check your age setting on your Facebook page if linked to your blog. Not all Facebook updates and linked blogs are appropriate for a kid to stumble upon. Don’t just add a blog link once a week. Do interact with your likers. Your likers are your readers. Do have fun with your updates. Do ask questions. Don’t be down on numbers connecting is more important. Don’t over analyse that your lost some likers after an update or blog post. Do shout out some of your favourite pages. Don’t shout out and expect a return shout out. Do things out of kindness and no expectations. Please fee free to add anything to the lists, or if I am totally out of touch with what I have said please let me know. Are you going to check who you followers are ? Problogger Event: The most important item to bring. 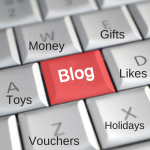 Blogging: What defines a Sponsored Blog Post? Nathalie, I found this post so useful. As a new blogger (6 months since my first post) and tweeter (2 weeks since my first tweet) the information in this post is relevant and informative. I am still learning to navigate the social media channels and you’ve answered some questions for me. So, thanks! I agree with the controversial blog topic and the sponsored post one. I’m happy to read commentary on a social issue but I dont want to be overloaded with it – the online news sites do enough of this. If I’ve read it over there Im probably less likely to read another post about it. Same with sponsored posts – Im happy to read a review but not 10 reviews of the same product on the same day. Sarah recently posted…Whats the balance? Great post. There is a lot there that is so true, especially the copying of others work and not giving credit. There is so much of it happening. People say that imitation is the most sincere form of flattery but when it comes down to it’s really not. To find something that you’ve worked hard on, on another site, without any link backs feels like you’re being ripped off. I think we forget sometimes what social media is..it’s about being social. I think a rule to stick to, one I stick to myself, don’t say anything online that you wouldn’t say to the person IRL. Things always have a way of finding their way back to the person. If you have an issue, face it, don’t facebook it! Tegan it’s exactly what you say. Although I do give benefit of the doubt and wonder may be they didn’t know they can’t just do that ie:copy it still bugs me. I have contacted people directly they’ve always had an excuse so I’ve asked they remove my words from their post or poster. Yes have an issue take up directly and privately. ‘Don’t be an egghead’ – I love that one! Carli recently posted…When blogging’s lost its shine. I really enjoyed this post as it confirms that I’ve been playing along by the unofficial rules since I fired up a month ago ~ phew! Just wondering about frequency of tweeting your latest post however, I notice most bloggers do this multiple times throughout the day/week. Is this cool? Great list. Thanks Lovely x. Helpful post even though I’ve been blogging for close to three years, there’s still lots here that I need to improve on like responding to commenters and reading and commenting on other blogs. I followed a tweet here, already forgot the handle (pardon my short-term memory loss!) but I shall go retweet now to acknowledge. Gosh and yes, please everyone say no to captcha! At least the arithmetic ones are kinda useful! It’s a never ending learning curve on social media especially blogging. I’ve learnt so much from actually being on social media than reading about it. Thanks for visiting. Great blogging tips there. Thank you. Two questions I have 1. What other spammer prevention ideas wld you suggest, 2. Aside from discus is there another way to respond to comments so readers know you have responded. I comment on a lot of blogs but would never know if there was a connection or not. Similarly on my own blog I don't respond much anymore ecause no one will receive it unless they return, and most people don't, due to time I guess. Great list thanks Nathalie. Glad to see I haven’t stepped on too many toes in my short blogging time. Like Katie above I have wondered at how frequently to tweet links to a new post. I have a strong desire to tweet like crazy in an attempt to get readers but likewise don’t want to annoy people. I saw a tweet saying that more than 3 times was desperate and annoying and it has out me off putting my posts out there too often. I have also wondered about joining a link party but wasn’t sure about how to do this. Do I just ask to join? I feel like a nervous primary school kid asking a group if I can join in! Possibly the best non-official social media etiquette guide I’ve ever read. Thanks! 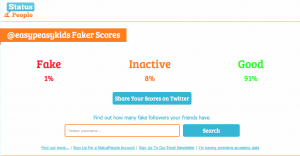 Just used your link to check my twitter followers – 97% Good! yay!! Good advice on not linking FB to Twitter. It just doesn’t work and can be annoying. Happy to say only 1% of my followers are fake. Must see if I can find and block them. I’m pretty brutal about blocking inappropriate followers. Great list of do’s and don’ts. I also try to drop by and comment on the blogs of my regular commenters. I find a lot of fab bloggers that way too. Excellent tips Nathalie. I agree to all of those tips, so needed a rehash on some of them too. How do you feel about pinterest being linked to Twitter? I’m doing it but I’m worried that I’m annoying my readers! Fantastic guide 🙂 So many great rules to share! Jodie recently posted…Fine Motor Fun for Challenging Days! I like your do’s and don’ts! Very simple overview and gives you a good idea of what to think about. Great! I think I made a lot of mistakes with my first blog and it seems to quickly spiral out of control, I felt like I couldn’t keep up with expectations – too many fingers in too many pies. I can see a lot of what I did in this list. I made a lot of changes with my new blog, approached it from a totally different perspective and I love blogging now. Brilliant to read you love blogging, it can be overwhelming at times but we only have ourselves to answer too, sometime we push ourselves far too much, good to see you are happy now. Thanks for writing this one up. Excellent ,no nonsense tips Nathalie. Thank for sharing. I think this is pretty darn close to the Holy Grail Nat! Awesome advice. Some of these things I hadn’t even considered & I’ve been blogging for nearly 3 years! Love this NAT! The only thing I think I differ from this list is the quotes as images. I love sharing the wisom of others with my followers. I source the quotes from different places, books, internet etc, and I do sometimes put them together on an image with credit to the Author….sometimes I just share the quote as text…say in a status update. And sometimes I share pics others have made…but it can be very hard to tell sometimes where the source is…this is part of the challenge I find with sourcing content…Pretty much all of my blog is my own original content but I do use shareable stuff on social media. I’ve looked into this, and there aren’t any clear cut guidlines…there is the fair dealing under copyright…but I’m not sure it covers this sort of thing to be honest…plus phrases are generally too short to attract copyright protection…but I’m starting to rethink things as I learn more about it. Love chatting about this sort of thing and see how others run their social media pages etc. I am so new to this that I do not know what RT is. Can someone please tell me? I am glad to find this article as I am in the process of having a web site created. All this information will come in handy. An RT is when you retweet someone’s tweet good luck with the website.